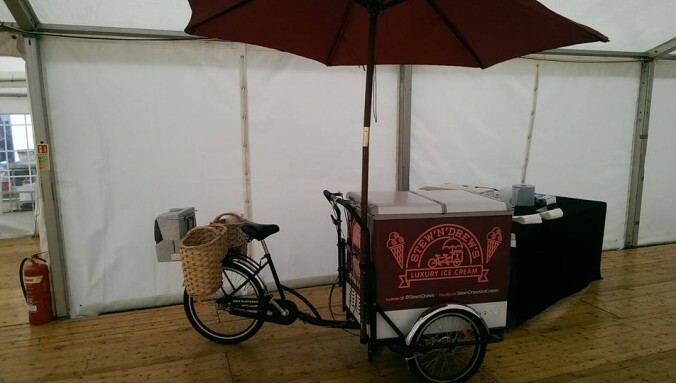 The Stew ‘n’ Drew’s ice cream bike is the Ferrari of the outdoor catering world. It goes from zero to 99 cones in three seconds and is an eye-catching spectacle. This ice cream party on wheels is designed for big events. We’re talking weddings, festivals, gala days, corporate events, that sort of thing. Request the Stew ‘n’ Drew’s ice cream bike for your gathering and we’ll roll up with our moveable feast of flavours. We can’t promise any wheelies but guarantee we’ll add some magic to the occasion.